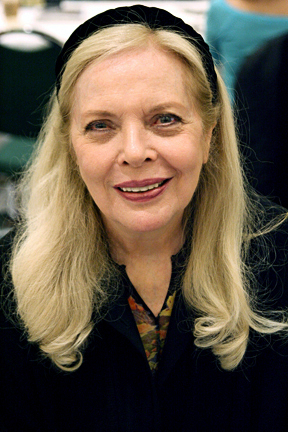 American actress, best known for appearing in TV series Space: 1999 and Mission: Impossible. A 1959 news article once mentioned how "Miss Bain is 5 feet 7 inches tall and weighs 125 lbs" and in a 1967 article it mentioned "A studio biography says she is 5 feet 7 and 120 pounds". Beautiful woman, this height looks about right - the rest of the IMF team were (to put it mildly) on the tall side so it probably would have looked a little odd to have a 5'0" lass there. Lesley Ann Warren was even a little taller I think.